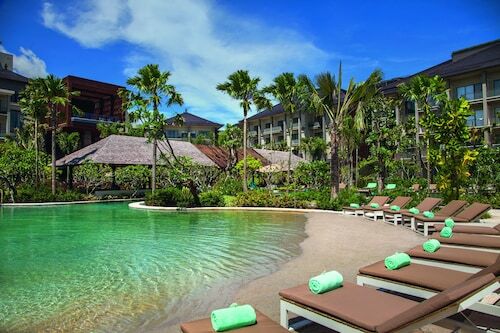 Offering direct access to the beach, this Kartika Plaza resort is in the entertainment district and within a 10-minute walk of Discovery Shopping Mall and Waterbom Bali. 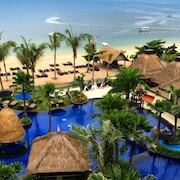 Tuban Beach and Honorary Consulate of Malaysia are also within 2 mi (3 km). 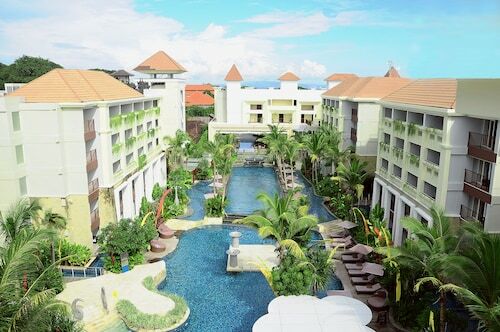 This family-friendly Kuta hotel is located near the airport, within a 10-minute walk of Lippo Mall, Waterbom Bali, and Discovery Shopping Mall. 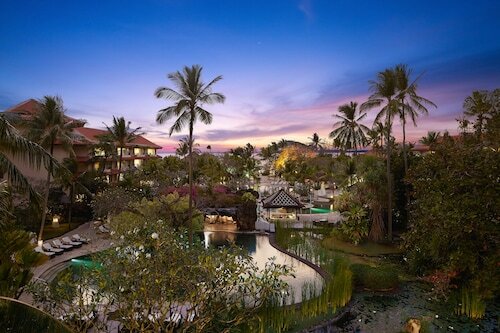 Kuta Beach and Kuta Square are also within 1 mi (2 km). 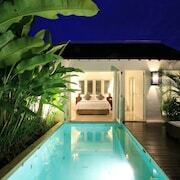 Nestled on the beach, this Padma hotel is within a 10-minute walk of Legian Beach and Kuta Beach. 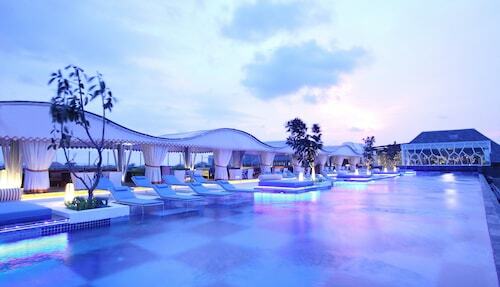 Double Six Beach and Beachwalk Shopping Center are also within 1 mi (2 km). 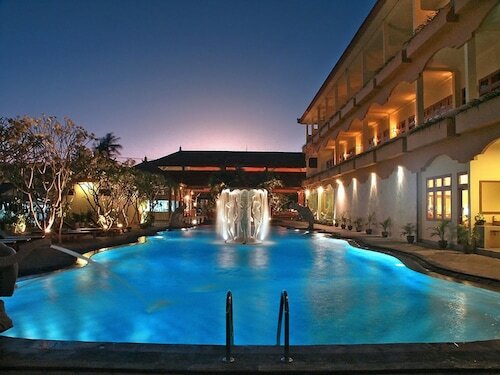 Located in Kartika Plaza, this beachfront hotel is next to a golf course and within 1 mi (2 km) of Kuta Beach and Beachwalk Shopping Center. 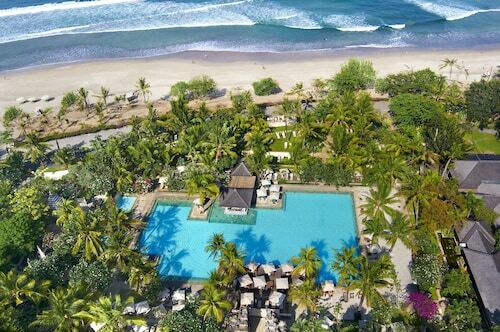 Legian Beach and Double Six Beach are also within 3 mi (5 km). 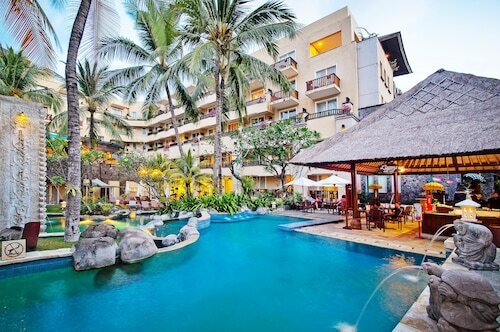 Located in North Legian, this luxury hotel is within 1 mi (2 km) of 3D Trick Art Museum DMZ, Seminyak Beach, and Double Six Beach. 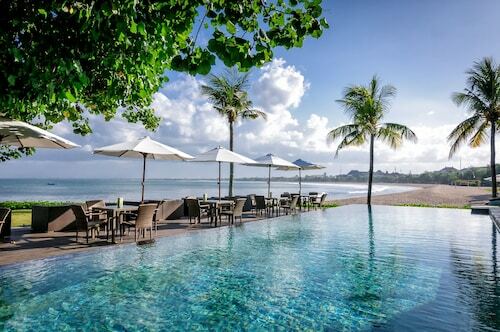 Eat Street and Kuta Beach are also within 2 mi (3 km). 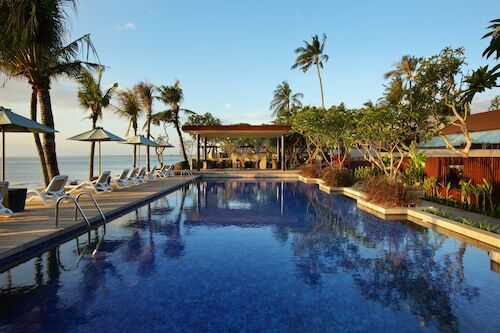 Kids grow up fast, but it’s all the more reason to create lasting memories with a few good family holidays. They may not thank you now, but the mental picture of you dancing in your bathers will be one that they’ll cherish forever (maybe). 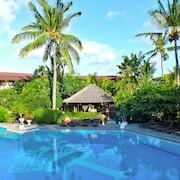 Find every kind of family accommodation in Bali, along with car hire and package deals, with our easy-to-use online booking system. We have endless options to please even the pickiest guests in your clan. Close to entertainment, shopping, theme parks and restaurants, our range of hotels ensure that you’ll never lack places to spend time or activities to do together, whatever your budget. 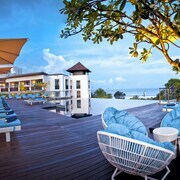 Cheap family hotels in Bali also provide extra savings that you can use on souvenirs and matching (temporary) tattoos. Room choices here can fit any size family, whether you need double beds, a connecting door or a whole suite to keep everyone comfortable. Kid-friendly dining and activities will help make you feel welcome. 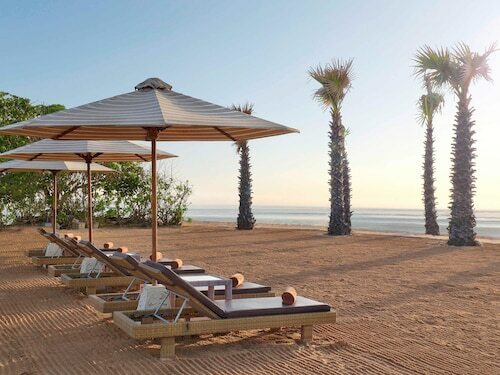 And if this has the added benefit of giving you a little time to relax on your own…all the better! 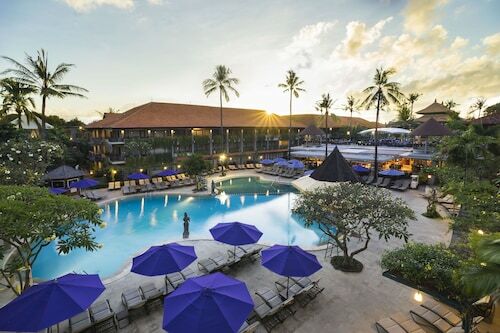 Wotif’s deals on Bali family accommodation can keep your brood coming back year after year, so you can renew that memory of your dancing until they’re old enough to appreciate its true brilliance. Until then, keep dropping it like it’s hot, savvy traveller. One day your kids will do the same dance for your grandchildren to delight and/or scar them just as much.